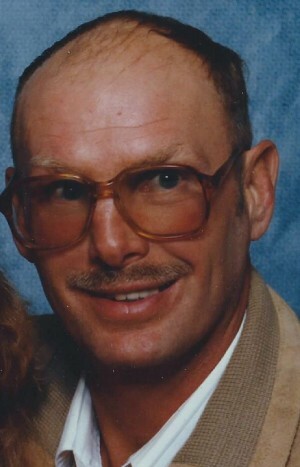 PHOENIX, NY – Randy Lewis Wallace, 64, longtime West Phoenix and Phoenix resident, passed away on Thursday April 10, 2014, at the V. A. Medical Center, Syracuse, NY. He was born in Fulton, NY, on Sept. 10, 1949. He was a U. S. Army veteran serving from 1966-1968. He was an avid fan and participant in auto racing. Known for his famous Q-2 car, as well as the Car 99 NY with the Wallace and Waldron Racing Team. Randy was a fisherman, enjoyed camping and spending time with his family and friends. He was predeceased by his mother, Virginia Alice (Egan) Wallace, on Feb. 5, 1965; his father, Lewis Wallace, on Jan. 9, 1993; his step-mother, Evelyn Grace (Delaney) Wallace, on July 4, 2000; his sister-in-law, L. Julie Wallace, on April 24, 2003; a grandnephew Mitchell Wallace II, on Dec. 16, 1989. Surviving are his life-long partner, Nora J. Wallace of Gouverneur; his daughters, Virginia I. Wallace of Alexandria Bay and Regina L. (Christopher) Murphy of Martville; his three grandchildren, Jacob Alan, Mariah Wallace and Christopher Murphy Jr.; his brother, Roland J. “Ronnie” Wallace; his two nephews, Mitch Wallace and Mark Wallace; his one niece, Michelle Wallace; grandnieces and grandnephews; his many friends; and a special friend, Tommy Considine. Calling hours will be held from 6 to 8 p.m. only on Monday at the Allanson-Glanville-Tappan Funeral Home, 431 Main St., Phoenix. At 8 p.m., the American Flag will be presented to the family.